So I have noticed 2 misalignments in the bike one with the front cowling stay and the other with the rear swingarm and I have explained this in detail in a video. The reason why I made this video is because the Authorized Service Centers here are refusing to Acknowledge these misalignments because apparently they are not able to "See" the misalignments. 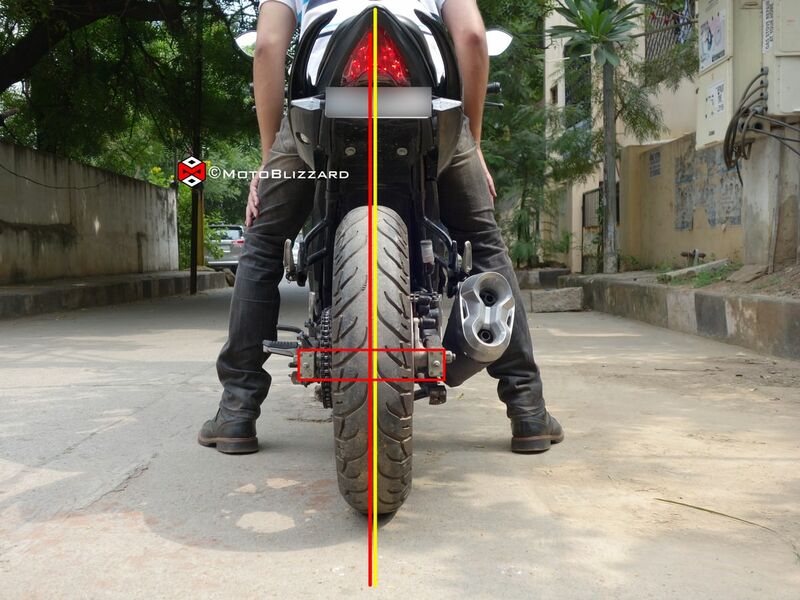 Unfortunately here in India not everyone who purchases a motorcycle is an enthusiast as a result majority of the Owners of this particular bike are unaware of these Misalignments. 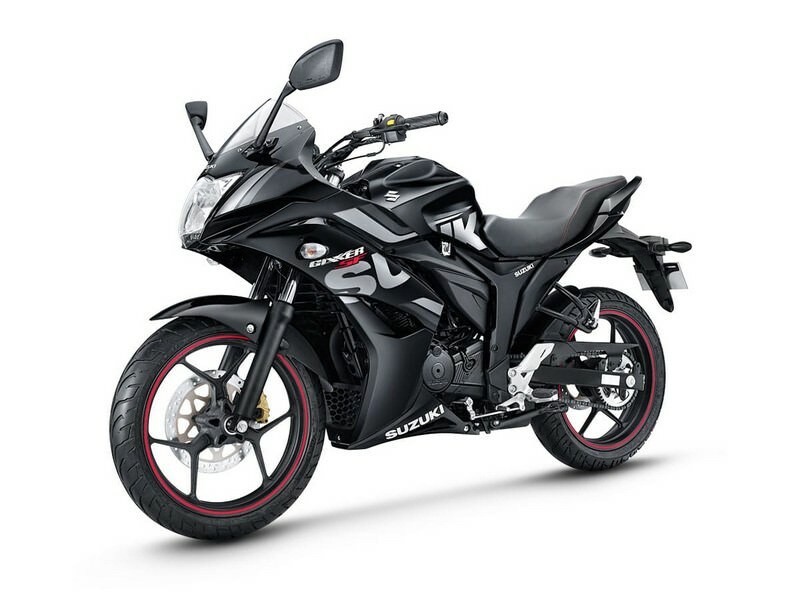 As I understand it, the GSX-150 is intended to compete with Honda's GROM and is an entry level bike intended to be as cheap as possible. So they're cutting corners wherever they can get away with it. With that and it being new, build quality can suffer. With regard to the front stay, is it a metal piece and is it a welded assembly? If so you might be able to bend things to improve the alignment. The chain alignment is of greater concern, though I also wonder if it's something that they can get away with on a 19 HP bike. Normally the front and rear sprockets should be exactly aligned and there are various tools that can be attached to the sprockets to ensure that, i.e. to measure the misalignment. I think that there's a laser device for that but you can do better by attaching a straight edge to one sprocket and measuring the misalignment at the other. Off hand, yours looks like too much. But a pic can be misleading. You need to be more precise before calling out Suzuki on it. Possibly it can be fixed by, for example, using a front sprocket with an offset. However, as previously stated, this might be something that they can get away with. I'm unaware of such a misalignment on my '95 XT225, which has similar power. 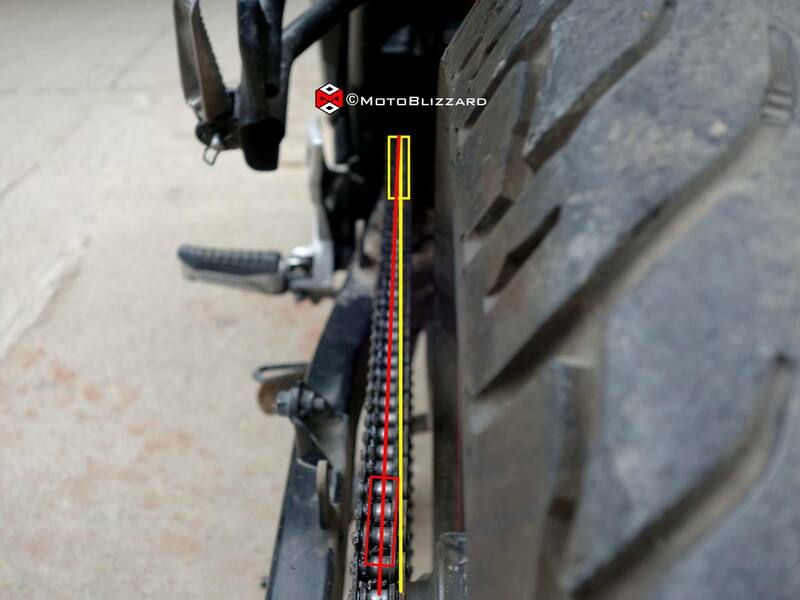 If you can, you might try checking the alignment on other models, Suzuki and others, that are similarly priced. So they're cutting corners wherever they can get away with it. They are definitely cutting corners here. With regard to the front stay, is it a metal piece and is it a welded assembly? If so you might be able to bend things to improve the alignment. Yes its a metal piece with welded components, not like what you would get on high end bikes. And to be honest its very poorly designed and even more poorly manufactured. The welds are just horrendous. Its like someone did an amateur DIY welding in their home. You see the yellow box in the stay image? Thats the clamp which connects to the steering tube. The Red box is part of the actual stay. And you can that box the red box and yellow box are not aligned. They are welded in that offset manner. Unfortunately its not possible to bend anything in that. The chain alignment is of greater concern, though I also wonder if it's something that they can get away with on a 19 HP bike. Normally the front and rear sprockets should be exactly aligned and there are various tools that can be attached to the sprockets to ensure that, i.e. to measure the misalignment. If you can, you might try checking the alignment on other models, Suzuki and others, that are similarly priced. 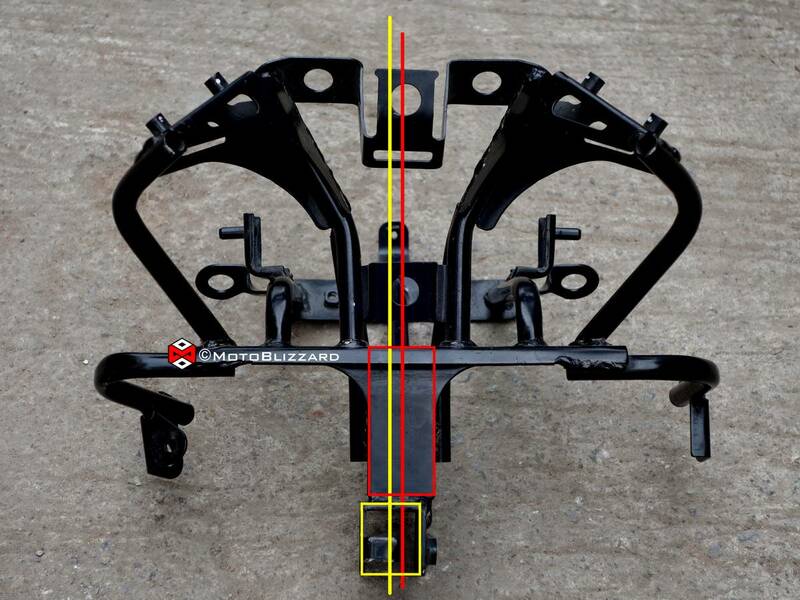 Its not that just my GSX-150 has these misalignments, all GSX-150s being manufactured have these misalignments. None of the owners noticed it for the longest time. I have compared this motorcycle with other motorcycle brands in teh same segment i.e, 150cc motorcycles from other brands. They dont have these misalignments. I'd expect the chain misalignment to have an adverse impact on chain life. Though I have no idea how much. Chapter 14 - Chain Installation of The Standard Handbook of Chains says that the maximum maximum amount of axial sprocket misalignment for roller chain drives is 0.045 * p, where p is the chain pitch. This would be .028" for a 500 series chain, though your bike may use a smaller chain. However I'm bothered that the equation doesn't include either the number of links or the shaft center-to-center distance. I'll try asking the author, though this will take a while. P.S. Typos aside, and there were others, The Standard Handbook of Chains is very highly regarded. Suzuki will have some explaining to do if it's at odds with it. P.P.S. Tsubaki here (p 71) says that the axial misalignment should not exceed 1 mm for a center-to-center distance up to 1 meter. That should include your bike. P.P.S. Tsubaki says that the axial misalignment should not exceed 1 mm for a center-to-center distance up to 1 meter. That should include your bike. Thanks, the gap in my case is definitely more than 1mm. Its nearly a centimeter actually. Proper alignment of sprocket and shaft is essential for smooth operation of the roller chain drive. It also significantly influences the wear life of the roller chain. You ought to be able to complain to Suzuki about that. But you have to have an accurate measurement by an accepted technique. However, having said that, customer service reps aren't engineers and will probably give you some sort of B.S. response. But is it really my job to do the measurements? The sprocket misalignment is my observation and as a customer if I report this observation, wouldnt it be Suzuki's job to take up the case and investigate the misalignment themselves? Only if you can present a credible case that something is wrong. The most powerful way that I can think of is to use accepted industry standard methods. Alternately you could wait for excessive wear and/or unusually short chain life to appear. But that's likely to take a while and, even then, they're likely to blame you.